In many parts of the world springtime will arrive with its flowers and green foliage at the same time as the celebration of the Jewish Passover and the Christian Resurrection Sunday (Easter). The Jewish faithful remember that time when the Lord passed over the homes of Jewish families in Egypt that had marked the doorposts of their homes with the Blood of a Lamb in obedience to Moses' directives, (Ex. 12:21-24). 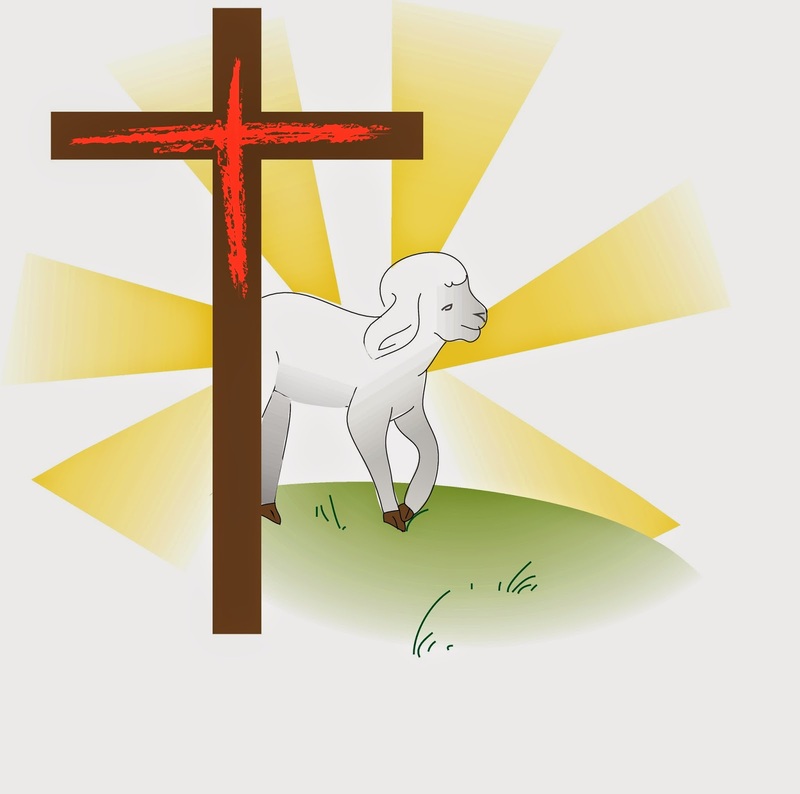 Christians celebrate this date as seeing Jesus as the fulfillment of the Passover Lamb. 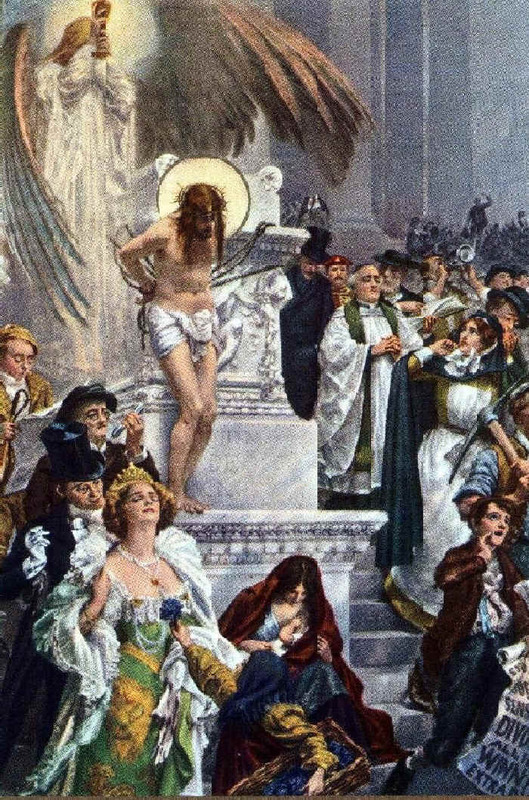 When John the Baptist first saw Jesus approaching (John 1: 29-31, and the next day, John 1:36) he immediately proclaimed Jesus to be "The Lamb of God who takes away the sin of the world." The great Apostle Paul also referred to Jesus in this context as, "Christ our Passover, was sacrificed for us," (1 Cor. 5:7). In context, God the Father had sent His Son preparing Him from conception to be the final sacrifice the world would ever need. In the book of Hebrews we are given a perfect picture of the transition from the Jewish sacrificial lamb, offered at Passover and at other times throughout the year, to the ultimate Passover Lamb, Jesus. The Holy Spirit reveals through this passage that God's will for all of humanity was to turn to the anointed One He would provide for the expiation or passing over of sin. That Anointed One was Jesus. Tradition and repetition in worship and custom was very hard for many to give up at the time that Christ appeared in our world (John 1:11). The author above used Psalm 40:6-8 as proof of what God's intent was to be for humanity; to bring Himself into the world as a babe, conceived of the Holy Spirit into the womb of a virgin (Is. 7:14; Matt. 1:23; Luke 1:27), and growing up among the people till the time of His revelation was ready. It was at this time when John the Baptist saw Jesus approaching him (at aprox. 30 years of age) that Jesus, the offspring of God, began His earthly ministry. But not all of the people understood—not all of them were ready to accept that the Messiah they had long awaited would come in such manner; furthermore, to add confusion to their expectations of a conquering Messiah (one who would crush the Roman rule), they did not expect that He would die as the sacrificial Lamb who would make available to the world the forgiveness of the sins. For a moment lets take time to understand why the author of Hebrews quoted Psalm 40:6-8 as the prediction of the coming Messiah. First of all we need to realize that he was quoting from the Psalm contained in the LXX version of the Hebrew Tanakh or Canon of Scripture. The LXX (Septuagint) is called such because of the seventy (lit. seventy-two) translators commissioned to copy the Tanakh into the common language of the day for those Jewish descendants not living in Israel. These are referred to as the diaspora or dispersed ones having been led into other nations, mostly by the captivity of conquering empires. The Hebrew customs and traditions were quickly fading in these other lands where populations of Jewish families were thriving. As decades and centuries passed they were in danger of losing their heritage to syncretism, or the absorption of one culture being swallowed up into the surrounding native culture. So the need arose for them to have their Bible in their new native tongue so they could continue to carry on their rich ancient heritage. So what of Psalm 40:6-8? What the difference in texts? Charles Ryries states, the LXX is, "an expression signifying obedience, based on the custom of piercing the earlobe as a sign of voluntary perpetual service" (Exodus 21:4-6). -Ryrie Study Bible What is important to note is that a servant often became so attached to his owner that when the day of freedom or Jubilee came he did not want to leave. So he would freely offer of his own will his body in service for life to the owner; as a token of the attachment he would have his ear pierced with an awl. In later years it came to mean offering your life or body in the service of another, and thus the LXX transliterates it as such! Jesus inhabited the body that God had prepared to be the servant for life of all who would by faith trust Him as their Lord and Savior, (Rom 10:9-10). He truly is our Passover and He proved it by conquering death through His resurrection, a holiday we remember annually at the time of Passover or Resurrection Sunday! Why do so many refuse to acknowledge the day? The question for today is why do so many overlook this day even giving no attention to it but rather, turning attention to their own pursuits? James Hastings spoke of the phenomena through referencing a famous painting. What will you be doing the Resurrection Sunday? How will you remember the death, burial, and resurrection of Jesus? Oh dear reader, do not overlook the depth of the love of God in bringing a way for you to have complete forgiveness of sin. He paid the price of redemption from sin through the sacrifice of His body and the substitution of His righteous life in exchange for your sinful one (2 Cor. 5:21). He truly is our Passover! Jesus Christ's Return :- Thanks For The Information... Jesus Christ's Return and Who Will Be the Antichrist is the only way by which we can return to live with our Heavenly Father. Yes Jesus Christ's return to catch away the saints in the Rapture is definitely very soon. True believers will be caught up to meet the Lord in the air, 1 Thess. 4:13-18, and be delivered from the coming Antichrists rule. But we do need to pray for those who have not yet received Jesus, John 1:12, that their eyes may open to the truth that alone is found in Christ. He died for us that we may live for Him.